45 Offset Ring Wrench. Sizes: 1/4" - 1-1/4"
Combination Wrench - Ring And Open End. Sizes: 1-1/16" -1-7/8"
Flare Nut Wrench. Sizes: 1/2" x 9/16" - 11/16" x 3/4"
3/8" Drive Crowfoot Flare Nut. Sizes: 3/8-13/16"
75 Offset Ring Wrench. Sizes: 1/4" - 1-1/8"
Double Open Wrench. Sizes: 1/4" x 5/16" - 1-1/8" x 1-1/4"
1/2" Drive Stud Extractor. Sizes: 1/4" - 1/2"
3/4" Drive Impact Socket. 6pt. Sizes: 1" To 1-11/16"
3/4" F.D. Impact socket. 6pt. Sizes: 1" thru 1-7/8"
1/2" Drive Impact Socket. 6pt. Sizes: 5/16"-15/16"
1/2" Drive Impact Socket. 6pt. Sizes: 1-1/16" To 1-1/8"
1/2" Drive Universal Socket. Sizes: 1/2"-15/16"
1/4" Drive Flank Deep Socket. 6pt. Size: 5/32"-7/16"
1/2" Drive Flank Socket. 12pt. Sizes: 1-1/16"-1-1/4"
1/2" Drive Flank Socket. 12pt. Sizes: 5/16"-15/16"
3/8" Drive Universal Deep Socket. Sizes: 3/8"-11/16"
1/2" Drive Impact Deep Socket. Sizes: 3/8"-15/16"
1/2" Drive 6pt. Flank Socket. Sizes: 1/4"-15/16"
1/4" Drive 12pt.Flank Socket. Sizes: 5/23"-9/16"
1/4" Drive Flank Socket. 6pt. Sizes:5/32"-9/16"
1/4" Drive Hex Socket Bit 32mml. Sizes: 1/8"-3/8"
1/4" Drive Slotted Socket Bit 32mml. Sizes: 5/32"-1/4"
Hex T Handle. Blade 100mm X 130mml.  Sizes: 3/32-3/8"
Car Service Equipment There are no products in this category. "FIX TOOLS" offers the necessary range of reliable lifts with a multi-level security system. 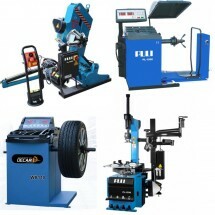 Here you can buy: Four-pillar and two-pillar lifts from famous brands: PULI, BEST and FLYING. 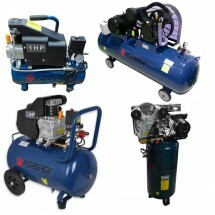 Professional equipment allows you to do work on servicing cars faster and more reliably. 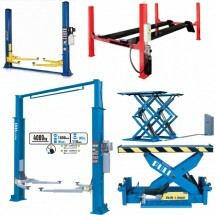 The company "FIX TOOLS" sells electromechanical and hydraulic lifts for car-care centers in Riga and throughout Latvia. the equipment we sell has been tested and meets strict performance standards.